Published May 26, 2015 at 1600 × 900 in President Faust visit to Botswana 15. 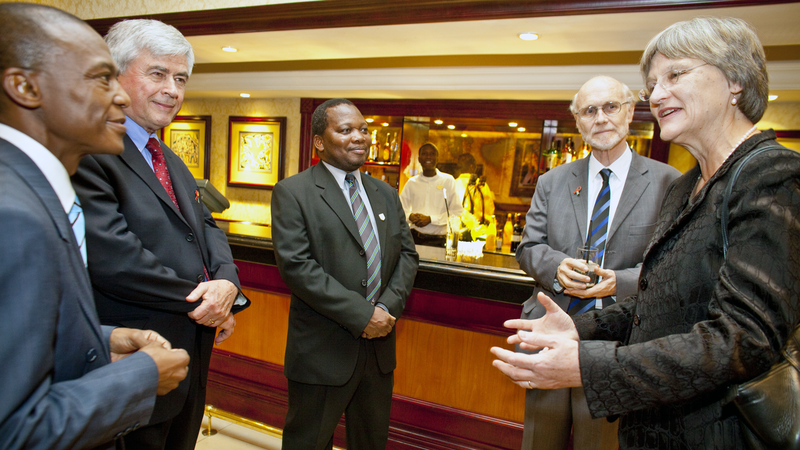 Vice-Chancellor of the University of Botswana, Bojosi Othogile (center), welcomes Faust to Botswana. The two universities cooperate on student exchanges.